Product prices and availability are accurate as of 2019-04-25 05:49:15 EDT and are subject to change. Any price and availability information displayed on http://www.amazon.com/ at the time of purchase will apply to the purchase of this product. Purchase this Chives seed packet duo to grow a garden filled with yummy Chives plants. Chives are perennial plants that will grow back every year due to their deep root system. 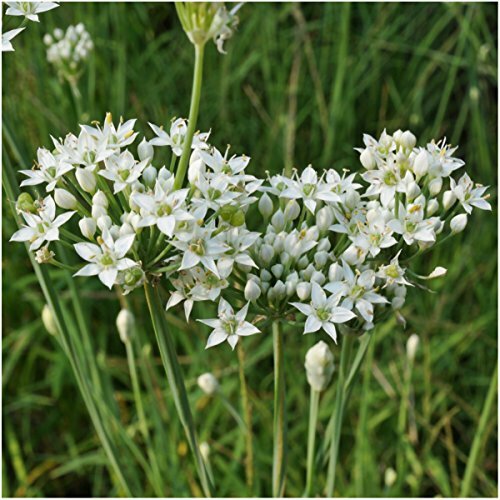 Garlic Chives produce white flowers atop green shoots, while Common Chives produces pink flowers over green shoots. The plants are easily established from seeds, and each packet contains detailed sowing instructions to successfully grow them. chives give off a onion like flavoring, which makes them perfect in many culinary dishes. Try sliced Chives in mashed potatoes! 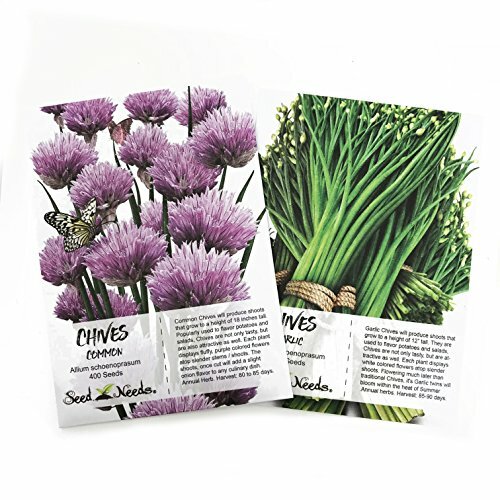 Quality Chives seeds packaged by Seed Needs. Intended for the current and the following growing season. Packets are 3.25" wide by 4.50" tall and come with a full colored illustration on the front side, as well as detailed sowing instructions on the reverse. This duo / set consists of two individual packets of Chives. 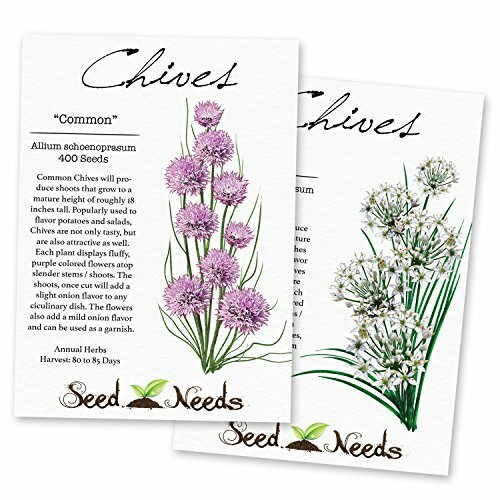 The packets both contain 400 seeds for Common Chives and Garlic Chives. 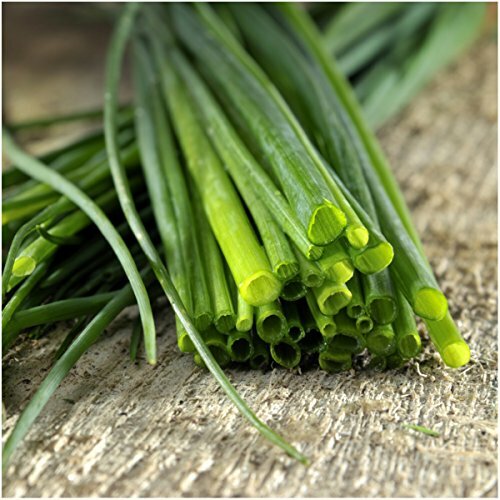 Common Chives will produce pink flowers, with hollow, tube like shoots that have a light onion flavoring. 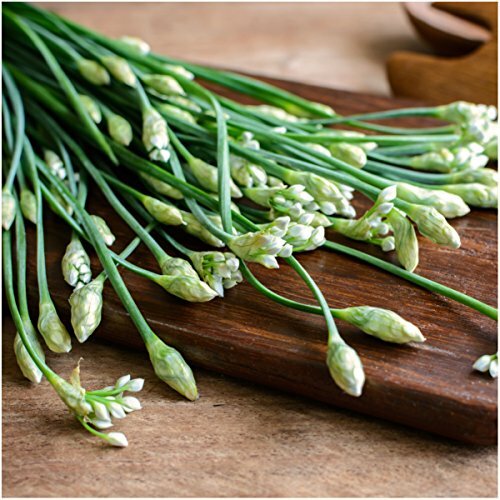 Garlic Chives will produce green shoots, just as Common Chives, but the flavor is in between garlic and onion. 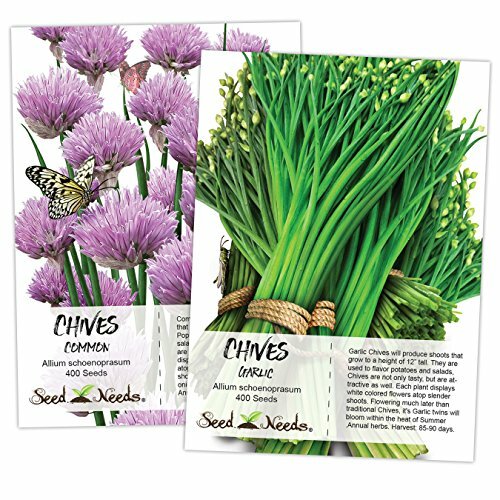 All Chives seeds sold by Seed Needs are Non-GMO based seed products and are intended for the current & the following growing season. All seeds are produced from open pollinated plants, stored in a temperature controlled facility and constantly moved out due to popularity.